Endless uses. Professional features. Just plain cool. 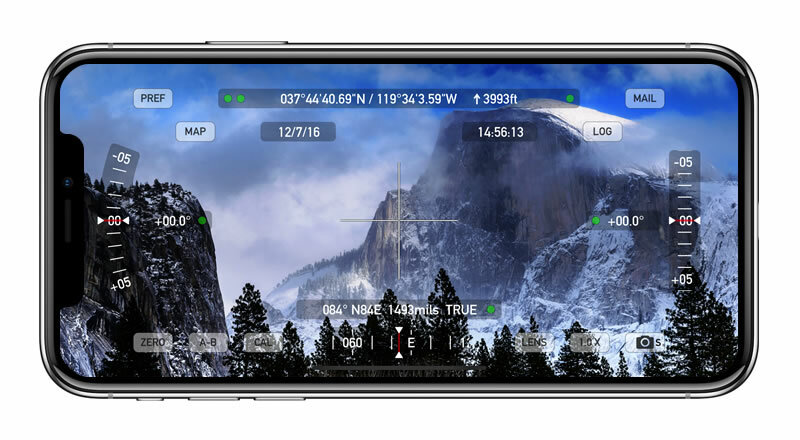 Theodolite is a multi-function viewfinder that combines a compass, two-axis inclinometer, rangefinder, GPS, map, nav calculator, and geo-overlay photo/movie camera into one indispensable app. 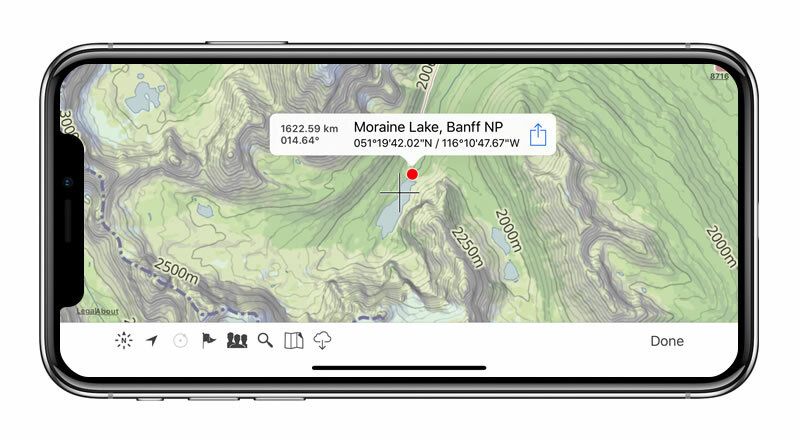 Uses are endless, and the app is great for land measurements, outdoor sports, sightseeing, navigation, and finding your way around. Theodolite has pro features and is used extensively by surveyors, geologists, architects, engineers, competitive sportsmen, first responders, military personnel, and search and rescue workers every day. 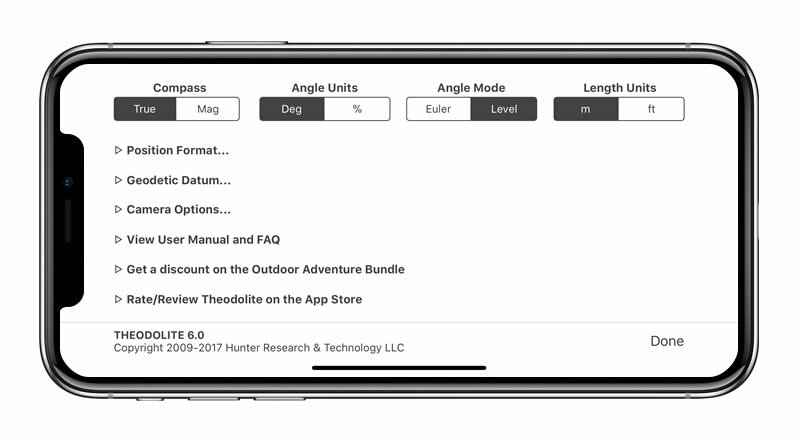 Theodolite has been shown in Apple Keynotes, featured on the App Store, and has been a #1 selling Navigation app in App Stores around the world. 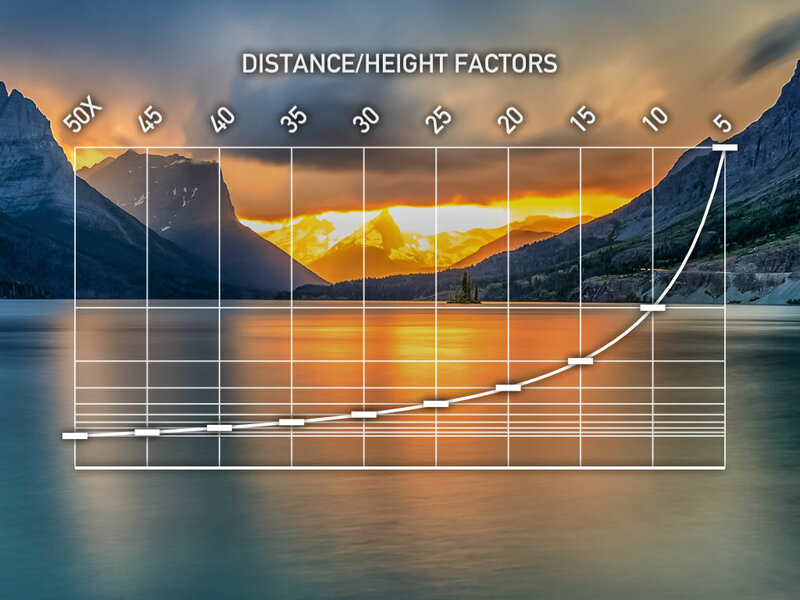 Since its introduction in 2009, Theodolite has defined the use of augmented reality for measurement and navigation. The app continually introduces new technologies, pushing the limits of iOS app development and taking advantage of new hardware capabilities. 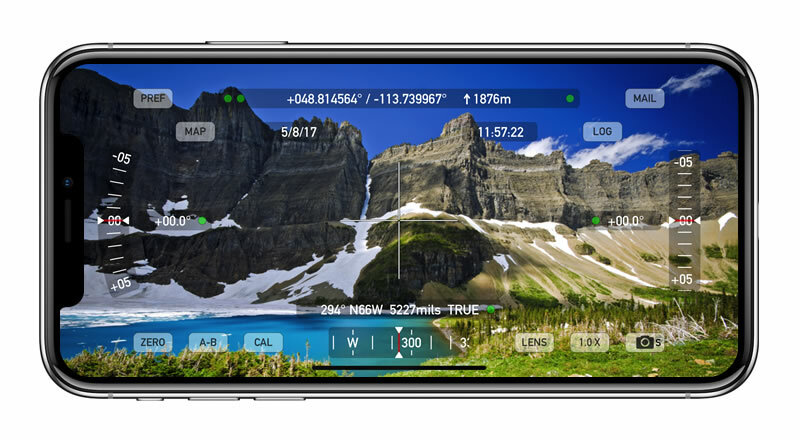 Find out why Apple named Theodolite one of the most amazing apps available and showed it being used to explore the Great Wall of China. Where will you take Theodolite on your next adventure? 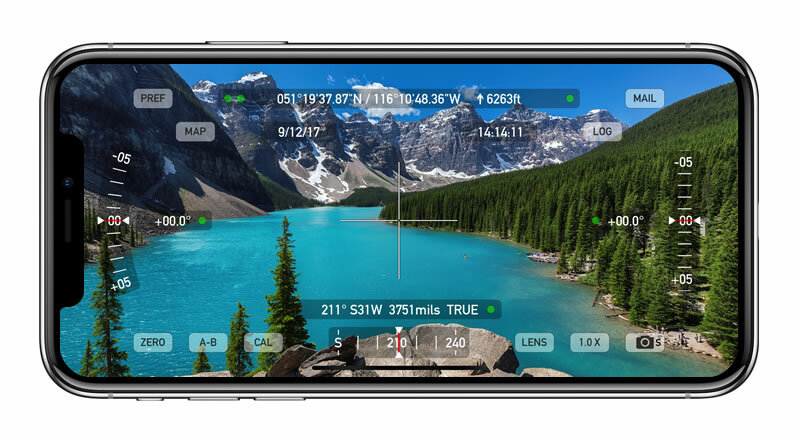 Take geo-tagged data-overlay photos, screen shots, movies, and screen movies with 2X-8X zoom and fast processing. Overlay date, time, geographical data, and comments/notes directly on photos and movies for later reference. 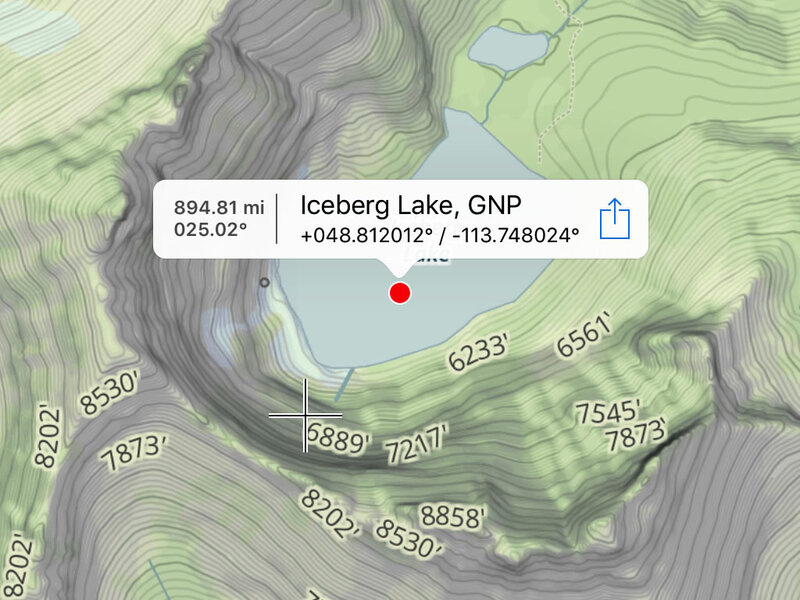 View your position on built-in maps, with optional offline Outdoors maps that include topo contours, trails, landmarks, and more. Live map markers continually update distance/heading from your location and display wayfinding info on the main screen. 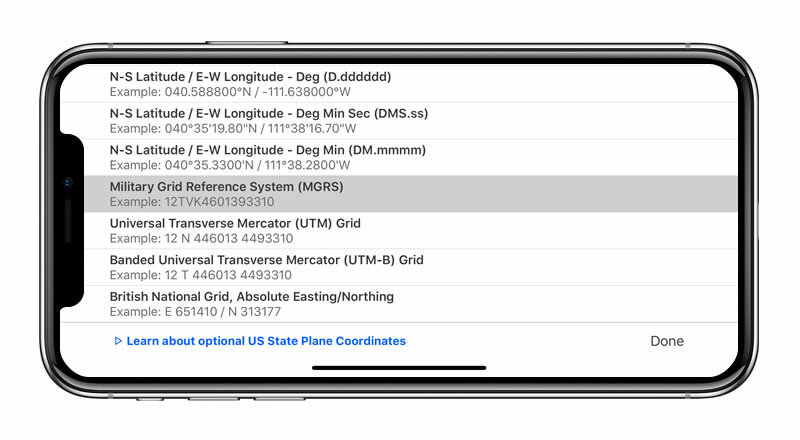 See location in MGRS, UTM, USNG, British/Irish Grids, Maidenhead locator system, six latitude/longitude formats, and optional US State Plane coordinates (SPCS27 and SPCS83). An optional Datum Pack adds over 230 geodetic datums. 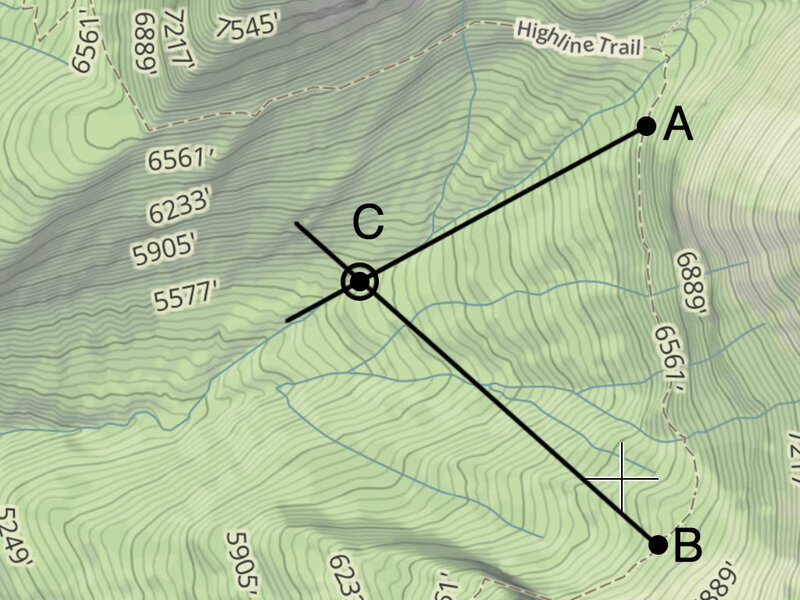 Compute distances, heights, bearings, and triangulate positions with Theodolite's calculator. Exchange data with other users for collaborative work like land surveying, accident investigations, spotting of wild fires, triangulation of landmarks, and tactical observation/targeting. Share map markers and calculator data with other users of Theodolite via text messages or e-mail. Import/export map markers via iCloud. 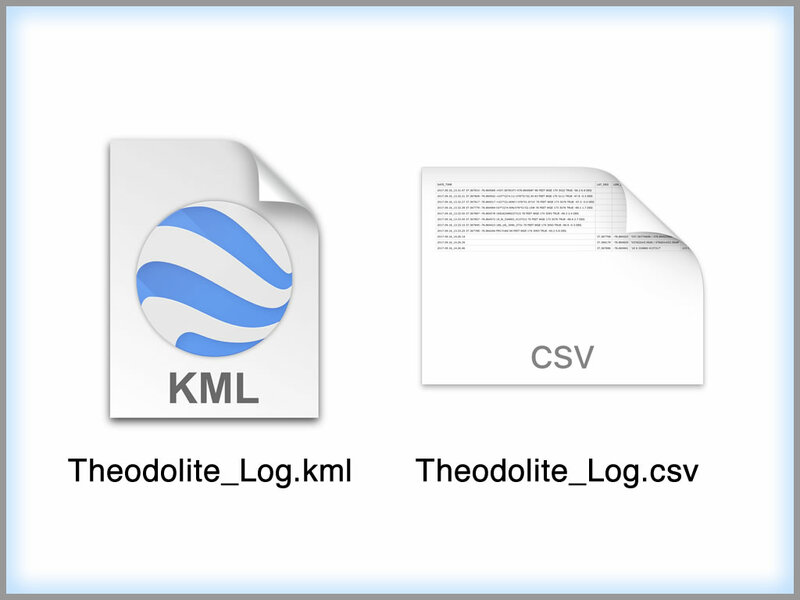 Log data and export in CSV and KML formats via e-mail or iCloud. 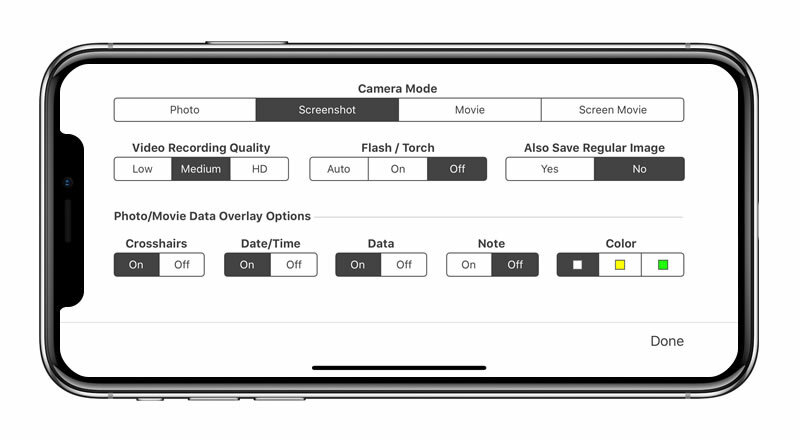 Copy data to your device's clipboard and paste it into another app. Choose from a simple crosshair, fullscreen wire cross, SLR-style focus/exposure indicator, or optical rangefinders including multiplier and mil-based crosshairs and rings, sniper-style stadiametric graphs, and a variable 4X-24X scope. Colored lens filters improve use in dark conditions. A theodolite is a centuries-old instrument that combines optical, compass, and angular measurements to enable a wide range of capabilities. Over the years, theodolites have been used by many famous scientists, engineers, and explorers. Lewis and Clark famously carried a theodolite on their expedition to explore the American west. George Washington, Thomas Jefferson, and Abraham Lincoln used theodolites for land surveying (in fact you can see Jefferson's theodolite on display at Monticello). In modern times, theodolites are valuable tools in science and engineering, and are used extensively in the surveying and construction industries. The theodolite is a "go-to" instrument for all types of land, sea, and air measurements. Theodolites are even used in space, for measurements and backup navigation. Astronauts carried a theodolite with them to the moon on every Apollo mission. 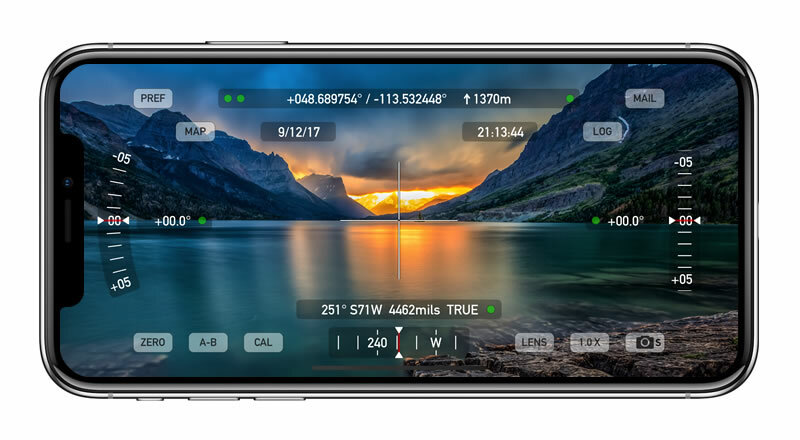 The Theodolite app combines the concept of a real theodolite with modern GPS, sensor, camera, and hardware/software technologies on mobile devices. 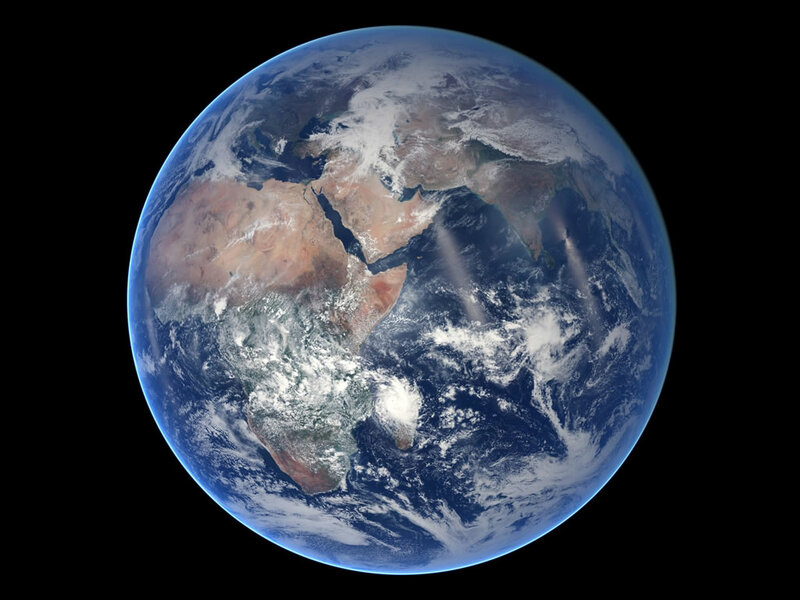 The app makes extensive use of OpenGL graphics for smooth and realistic performance, and uses advanced computation and fusion algorithms to combine sensor data and camera imagery. 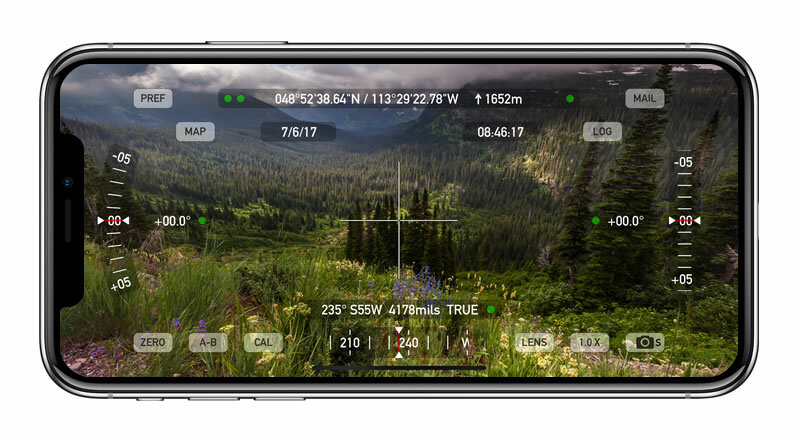 Theodolite was one of the very first augmented reality apps when it was released for the iPhone in 2009. It has been downloaded and used by millions of customers since then, has appeared in movies and TV shows, and is used every day on the job by professionals around the world. To read about some of the interesting uses and real-world customer applications of the Theodolite app, click here. Theodolite is on sale for 40% off to celebrate its 8 year anniversary! 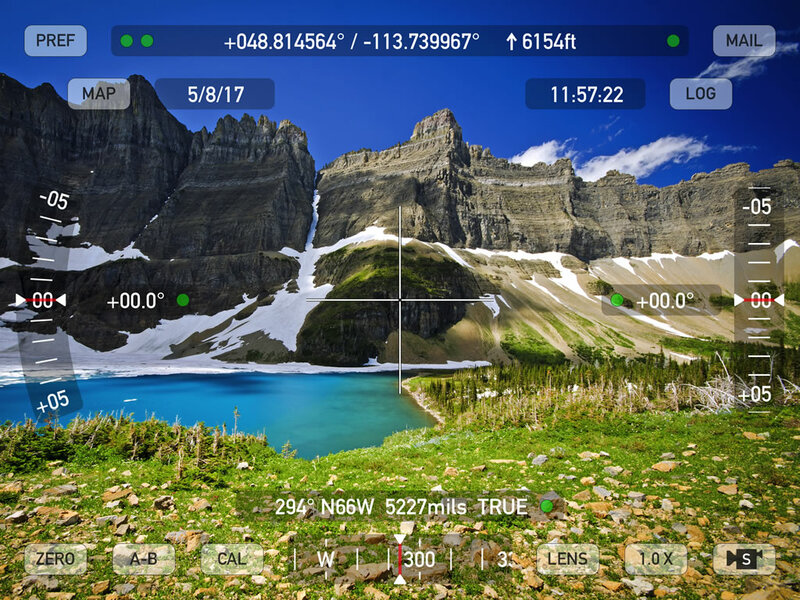 Get Theodolite for just $5.99 (USD). Browse Theodolite's user manual and FAQ or feel free to contact us for assistance.